A benefit for spatial correspondence, called the Simon effect, is typically obtained in choice-reaction time tasks when the stimulus location is irrelevant to the task. Reversal of the Simon effect to favor noncorresponding stimulus-response locations has been obtained for physical-location stimuli after minimal practice (84 trials) with an incompatible spatial mapping. After practice with location-word stimuli, the Simon effect for physical locations is not reduced. The present study evaluated whether practice with “incompatibly” mapped location words can reverse the Simon effect when the practice session emphasizes color-to-response mappings rather than spatial mappings. Two conditions were tested in which the proportion of noncorresponding to corresponding trials was manipulated in the practice session. A full reversal was evident when all trials in the practice session were noncorresponding. 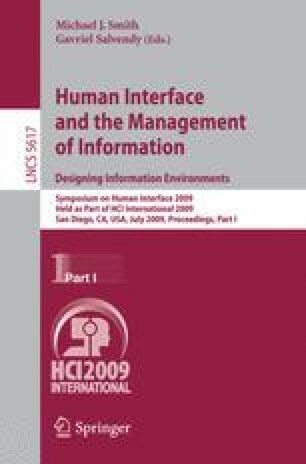 Implications for interface design are discussed.